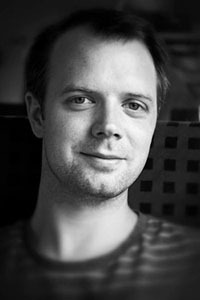 Michael is a conductor and composer of concert, choral and film music. He was raised in Portstewart, Northern Ireland but studied here at Edinburgh University, gaining a First Class Honours degree in Music, and a Masters with Distinction from Bristol University. Academic awards have included an Arts and Humanities Research Council Masters Scholarship, a Branson Bequest Bursary, and a Caledonian Research Fund Scholarship in support of his current PhD research project at Edinburgh University. As a Musical Director, Michael enjoys working with musicians and singers of different ages and backgrounds, and he has worked with groups such as Troon Chorus, Edinburgh Saltire Gaelic Choir, and St Mary’s Metropolitan Cathedral Choir. Michael is also gaining a reputation as a composer of new choral and liturgical music, and his works have been performed in the UK, Ireland and the USA. As a composer for film and television, he has composed original music for a range of award-winning short films and animations, and his music has appeared on BBC TV, at the BAFTA Scotland Awards, and at film festivals worldwide. Michael is committed to working with young people in music, and has taken a leading role in a number of youth music initiatives. Recent work has included a sacred music singing project for 16 – 25 year olds in association with St Mary’s Metropolitan Cathedral, and creative composition workshops in Edinburgh schools.